Understated is what comes to mind when you first throw a glance towards this simply beautiful mirror cabinet. Two adjustable shelves, LED lighting, and a demister panel are just some of the features that make this a must have in any bathroom or dressing room. 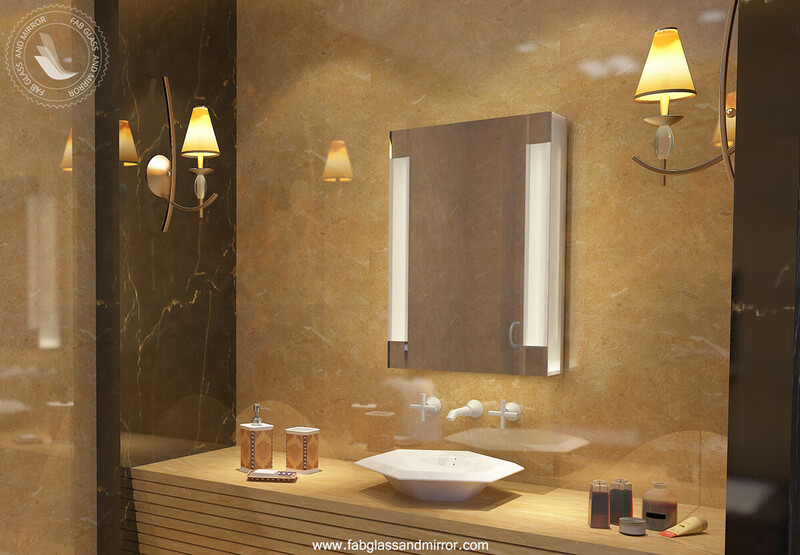 LED Cabinets from FAB Glass and Mirror providers of a luxury bathroom mirror cabinets. The bathroom mirrors with lights are not just for style, but they are also useful to illuminate your bathroom aesthetically. You can coordinate and design the theme of your bathroom with these LED mirrors. The glass wall cabinethave grown in popularity during the recent years. And Wall Cabinetschange its appearance.